I am participating in a sponsored campaign hosted by Centrum®. I received compensation for this post. While all opinions stated are my own, I make no claims about Centrum® as a product or its effectiveness. Life is pretty hectic around our house, even on the good days when everything is running smooth. We try to eat healthy, balanced meals and focus on fruits for snacks rather than candy or chips, but with as many moving parts as there are, it’s hard to know you’re covering all of your bases. This is even truer for my husband and me, since our main mission is getting the kids fed and where they need to be. We sit down for dinner as a family, but we are up and down getting more for the little boys and such, so we don’t always get to finish. When we got a chance to try out New Centrum® MultiGummies, we jumped at it as they seemed to be the answer to our problem. A lot of people have trouble swallowing conventional, hard multi vitamins and once they are down, they sit in your stomach like a brick if you haven’t eaten recently. Centrum® heard what people wanted and developed MultiGummies as a solution. They are easy to chew and swallow, taste good and contain important nutrients to help support energy, metabolism and immune system function. Surveys have shown that most Americans agree on a number of things including that it is a lot easier to eat an unhealthy diet than a healthy one and that despite widespread concern that they aren’t getting enough of key nutrients; most people haven’t changed their diet in the past year to try to get more. The main two reasons given for not eating a healthy, balanced diet is time and cost. Centrum® MultiGummies cover both of those bases. The best part is the gummies are gluten free, use only natural colorants and don’t contain artificial sweeteners but are still available in three great flavors – berry, cherry and orange. Summer should be the easiest time to get a balanced diet, as fresh fruits and veggies are in season and the kids aren’t in school so the timeframes aren’t as tight. At the same time, summer is time for play, vacations, and summer sports, so it’s easy to lose sight of eating right because you want to be out and on the go, not in the kitchen watching everything that gets made. At the same time, because everyone is so active, summer is when nutrition is even more critical, getting the right nutrients is even more important. Centrum® MultiGummies fit the bill in every way here also because it’s easy to keep them in the car if the mood strikes to just take off on a road trip or spontaneous picnic. We are excited to have a great resource to help support a healthier life and take a little bit of worry out of meal planning – this summer will be the best and busiest one we’ve ever had and Centrum® MultiGummies will be helping to power us through it. You can learn more about them at www.Centrum.com/Centrum-MultiGummies and check back here in a couple of weeks and learn what we think! 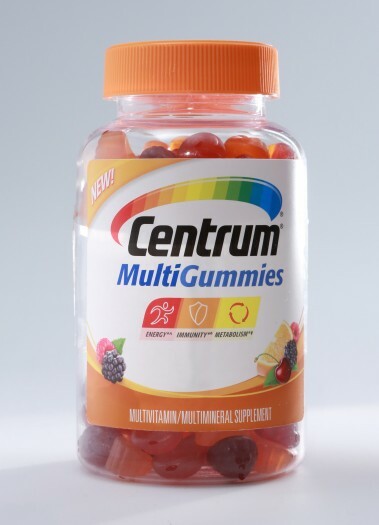 Visit www.Centrum.com/Centrum-MultiGummies for more information and to receive a $2 coupon off your next Centrum® purchase (limited time offer; while supplies last). These look like the perfect vitamin for me. I can not swallow the big pills vitamins usually come in. I will have to pick some of these up. Centrum makes great vitamins. I will have to pick up some Multigummies to try. Multigummies sound like a great way to take your vitamins. I have been wanting to start taking vitamins again. I will have to give these a try. This makes taking vitamins much fun and easier! Would love to grab few stocks of this. Thanks for letting me know about it. I prefer taking my multivitamins in chewable format- I find I don’t take gummies regularly, because they often require 4 per serving and more chewing. I do like that these are gluten free, though, so I’ll have to give them a peek when I see them in the store. I’ve been taking these for the past few weeks and I feel so much better after taking them. I just wish they were a little sweeter though. I take these new Centrum Gummies, they are delicious and most importantly, good for my health! My dad uses centrum, he will be very excited to learn they now have yummy gummies! Thank you for sharing and for the coupon! Our whole family needs to do better about eating vitamins daily, as I fear we don’t always get all we need. Plus, who doesn’t love gummies! Gummies sound like a great way to get vitamins rather than the old pill kinds. I used to hate taking the pll kind of vitamins when I was a kid. It’s great that they’ve got a gummy option now. Makes taking the daily vitamin much easier! Are all vitamins going to gummy form? I bet these are great and I have always loved the Centrum brand!